Texas cities are redefining their relationship with urban watersheds. Recently the Dallas Center for Architecture brought together experts from Austin and Dallas to hold a panel discussion titled “Revitalizing Flood Plains as Public Spaces.” The panel, moderated by Cathrine Gavin, editor of Texas Architecture magazine, included Stephanie Lee McDonald, Executive Director of the Waller Creek Conservancy, Brent Brown, founder of buildingcommunity Workshop (bcWorkshop), and Willis Winters, assistant director for the Dallas Park and Recreation Department. The discussion centered on strategies and challenges involved in transforming neglected and disconnected watersheds into destinations that can enhance and transform urban centers. For the past 50 years, Austin’s Waller Creek and Dallas’s Trinity River have become what Brent Brown describes as ‘sumps’ serving the singular purpose of collecting run-off and whisking the water away from the city centers as quickly as possible. The neglected and ignored watersheds have lost much their ability to perform ecological, social, and economic functions. In the 1920’s the Trinity River was moved and straightened, thereby removing the meanders and disrupting the existing ecosystem. In Austin, Waller Creek remained underdeveloped due to dangerous floods that can transform the gently flowing creek into an 800 ft. wide raging river. 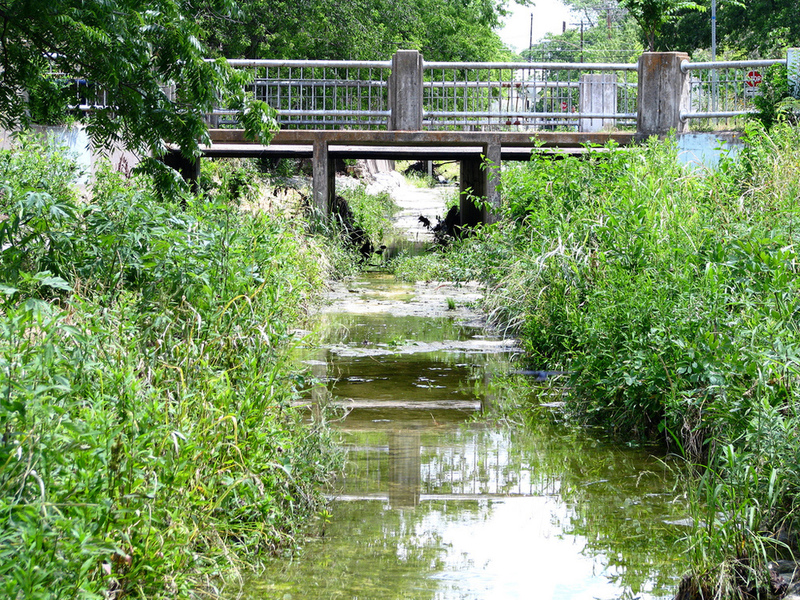 Downtown businesses and residences turned their back to the creek, leaving a corridor that has been scoured of sediment and attracts undesirable activity due to the isolation. As Stephanie McDonald mentioned, if you find yourself in the Waller Creek corridor you’re probably doing something you shouldn't be. Both projects have the ambitious goal of revitalizing the ecological, social, and economic systems of the urban core; however, the strategies to achieve these goals are much different. The Waller Creek Conservancy is tasked with redeveloping 28 acres along a 1.5 mile stretch of the creek that flows between IH-35 and downtown. The redevelopment’s success relies on a 1 mile long, 28 ft. diameter tunnel that collects flood water upstream of the newly established district and moves the water under the city into Lady Bird Lake preventing extensive flooding and opening up the area for development. Additionally, the tunnel will allow water from Lady Bird Lake to be pumped back upstream during periods of drought to maintain constant flow, ultimately reestablishing healthy ecological systems while serving as a city amenity. In contrast, the Trinity River Corridor Project encompasses a stretch of the river that is 20 miles long and approximately 10,000 acres in size. This large expanse of space allows for a strategy that will reintroduce the meanders to the river restoring a more natural water course that will reduce erosion, slow sediment flow, and promote a healthy ecosystem. The wide river corridor also offers an opportunity to connect the city through a network of bike and pedestrian paths with diverse programs that promote recreation, education, and preservation dispersed throughout the flood plain. These ambitious plans require significant planning and consensus. The panel acknowledged the necessity for the parks to serve the current needs of the cities while still being agile enough to adapt to future unknown variables that arise as the urban cores evolve. Patience and a long term vision are essential as the success of these strategies will be measured over decades and even centuries to come.